On June 7, 2018 Jessica* was sitting behind a church in Fayetteville, North Carolina, when two police officers walked by. Spying a syringe and a spoon lying near her, the officers proceeded to question her. According to Jessica, they tested the items for drug residue and became irritated when the test came back negative. After some discussion between themselves over what to do, they arrested her for possession of drug paraphernalia. It was 39-year-old Jessica’s first drug-related charge, and it came at a very inconvenient time. After struggling with problematic drug use and homelessness for years, she has recently enrolled in a drug treatment program and is attempting to get back on her feet. A criminal record could hurt her future job prospects. Worse, when Jessica went to court in March 2019, she learned that in order to have the charges dismissed, she would have to participate in a “controlled buy” of illicit drugs. The police department would provide her with money to buy drugs from a dealer, wiretap her phone and surveil the exchange. If she complies, the charges disappear. If not, under North Carolina law she can face a fine and up to 120 days in jail. “But if [dealers] find out I’m working with the police, I could be dead,” Jessica tells Filter over the phone, yet to decide what to do. The fear in her voice is palpable. Every day, people are faced with taking such risks to avoid the consequences of a criminal record—all for the high crime of possessing a syringe and a spoon. Controlled buys are dangerous. The 2008 murder of Rachel Hoffman in Florida and the 2014 alleged murder of Andrew Sadek in North Dakota—both of whom were pressured by cops into making controlled buys after being busted—are two prominent examples of this. Yet every day, people like Jessica are faced with taking such risks if they are to avoid the lifetime consequences of a criminal record—all for the high crime of possessing a syringe and a spoon. Drug paraphernalia laws, which criminalize the possession or sale of any items used or intended for use of illicit drugs, are a critical tool in the US War on Drugs. Ronald Martin, who worked as a Detective Sergeant for the New York City Police Department at the height of the crack cocaine scare describes drug paraphernalia to Filter as “the ultimate Swiss army knife”—a catch-all tool that enables an officer to make an arrest even when no other evidence of a crime may be present. Just about anything—Q-tips, cotton balls, plastic bags, rubber bands—can be considered drug paraphernalia. “If you carry a crack rock in your pants, the pants could be paraphernalia,” explains Bill Finn, a criminal defense attorney in Raleigh, North Carolina. Drug paraphernalia laws exist, with some variation, in 44 US states. But penalties vary quite broadly. In Texas, for example, a simple possession charge for drug paraphernalia is considered a Class C misdemeanor, which typically carries a fine of up to $500. But in Florida, possession of drug paraphernalia is classified as a first-degree misdemeanor—comparable to domestic violence and drunk driving. Penalties can include a $1,000 fine and up to a year in jail. Enforcement of drug paraphernalia laws also varies—both between different jurisdictions and among individual members of law enforcement. Some officers don’t prioritize arresting people for possession of drug paraphernalia. Others rack up paraphernalia arrests like hunters mounting antlers on a wall. Det. Williams was hired in 1994 under President Clinton’s Violent Crime Control and Law Enforcement Act of that year, which funded 100,000 new police officers to fight the War on Drugs. Though he spent nearly 20 years in law enforcement, he tells Filter that the work started to bother him—especially once he realized that drug arrests don’t play out equally between people of different races and socioeconomic backgrounds. Williams recounts the story of an African American teenager arrested outside of a public housing project for possession of paraphernalia. Unable to pay the fine or to hire a decent lawyer, the young man ended up serving six months in jail for possession of a single marijuana roach. Williams says stories like this are all too common. Drug paraphernalia laws may be a useful tool for law enforcement to build an arrest record, but to prosecutors, paraphernalia charges offer an even greater form of leverage. Thanks in large part to the overwhelming number of drug-related court cases, actual trials—in which lawyers call witnesses to the stand in front of a jury—are increasingly rare. In fact, over 90 percent of criminal cases are settled through plea bargains, in which the defendant pleads guilty to charges in exchange for a reduced sentence without ever going to trial. “If [a defendant is] charged with a low-level felony and has a paraphernalia charge, then we may dismiss [the felony] and plea to a class 1 misdemeanor,” Bill Finn tells Filter. For defendants, many of whom are indigent, accepting a plea bargain could mean the difference between facing years in prison or spending a few months on supervised probation. In fact, research shows that pleading guilty before trial and accepting a plea bargain reduces a defendant’s potential sentence substantially compared with being convicted by jury trial, often by about two-thirds. But here’s the catch: To a defendant who wants a case to be settled as soon as possible, pleading guilty to a lesser charge might seem like a good deal. But that guilty plea still leaves them with a lifetime criminal record that can set up roadblocks to jobs, housing, higher education, and a host of other resources. Additionally, much like drivers collect points on their driving record every time they have an accident (points that are later used to justify higher insurance premiums), by pleading guilty to a crime, a defendant collects “sentencing points.” The more sentencing points a person earns over time, the harsher future punishments can be. Prosecutors and even defense attorneys also push for plea bargains to avoid expensive and time-consuming trials and to help clear the backlog of court cases. In fact, if all drug-related cases in the United States actually went to trial, the criminal justice system would likely collapse under the burden. Ironically, our efforts to arrest people for every possible drug-law violation have created a system so overburdened and inefficient that we use even more bizarre laws—possession of items only remotely connected to drugs—to take away drug charges, to clear the backlog so we can fit more people with drug charges into the system. Drug laws are not about what works. They’re about counting. Law enforcement count their arrests. Prosecutors count their convictions. Defense attorneys count their “good” plea deals. Judges count their resolved cases. Prisons count their filled beds. And families count their dead. For Williams, the problem is the drug war itself, which treats a public health crisis—often induced by people self-medicating mental health issues—as a criminal one. This framework encourages bean-counting over solutions such as naloxone distribution, medication-assisted treatment programs, and other evidence-based programs that are proven to reduce drug use and overdose death. “Until we address prohibition at the top of the stream, we can’t correct the cycle that we are in,” Williams says. Along with addressing prohibition, we need to acknowledge that not all drug use is harmful, offer adequate resources to people who do need help for problematic drug use, and tackle the problems that fuel chaotic use through education, healthcare access and strong community support networks. Drug use doesn’t have to be deadly. And no one should face lifetime punishment for possession of a spoon. Tessie is a writer and drug policy advocate in Raleigh, North Carolina. Her articles explore topics such as criminal justice reform, drug policy and harm reduction. 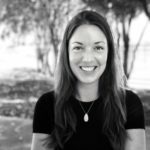 She previously served as the advocacy and communications coordinator for the North Carolina Harm Reduction Coalition, a statewide nonprofit that advances drug policy and criminal justice reform. During that time, she played a pivotal role in helping to legalize syringe exchange programs and expand access to naloxone. You can find her at her website or on Instagram.